The death of 'Abd al-'Aziz al-Hakim has created a power vacuum among the Shi'a of Iraq. Since his return in 2003 from exile in Iran, al-Hakim had emerged as the political leader of the nation's Shi'a, the majority group in the country. Although Grand Ayatollah 'Ali al-Saystani (Sistani) remains the most influential Shi'a religious figure in Iraq, al-Hakim had eclipsed him in the last few years in the political sphere. Al-Hakim was the leader of the Islamic Supreme Council of Iraq (ISCI) - known in the Saddam Husayn years as the Supreme Council for the Islamic Revolution in Iraq. The name was changed in 2007 to remove the word "revolution" after the fall of the Ba'th Party. SCIRI was started by al-Hakim's older brother Ayatollah Muhammad Baqir al-Hakim. The younger al-Hakim was placed in charge of the SCIRI militia, the Iranian-trained and equipped Badr Brigade. 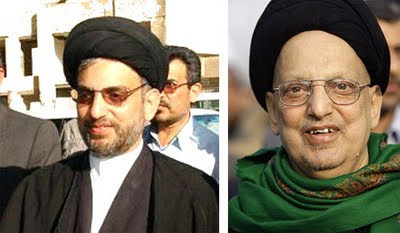 The older al-Hakim was assassinated in Najaf, Iraq in 2003 - many (including me) believe that it was the work of radical Shi'a cleric Muqtada al-Sadr and his jaysh al-mahdi (Army of the Mahdi) militia. In addition to his leadership of ISCI, he headed the National Iraqi Alliance (NIA), a coalition of Shi'a Islamist parties that are hoping to dominate the January 2010 parliamentary elections. Thus far, Iraqi Prime Minister (and Islamic Dawa' Party leader) Nuri al-Maliki has not joined the coalition - he wants assurances that if the coalition wins that he will continue as prime minister. He has tried to assemble a group of non-sectarian parties to challenge the NIA, but al-Hakim had garnered the support of the Kurds and was generally favored by the Americans. It appeared to me that unless there was a drastic change in the situation, the NIA (under al-Hakim) would emerge as the clear winners in the election. The Shi'a are easily the majority, although some are still backing the incumbent al-Maliki. If you add the Kurds in with the NIA, the numbers are clearly on the side of the NIA. The recent increase in violence might have been one of those changes that might have changed the political landscape. Al-Maliki stood to gain from the violence if he handled it correctly. Insisting that American troops remain outside the cities (as called for in the Status of Forces Agreement) instead of asking for their assistance is not the way to do that. 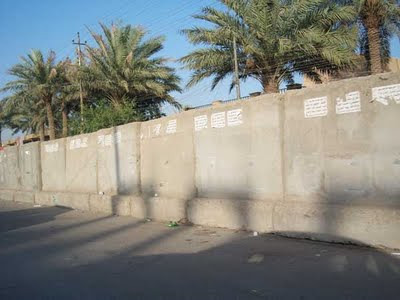 He was forced to re-install the blast walls around key government buildings after several truck bomb attacks, a clear demonstration that his forces are incapable of rooting out the remnants of the Ba'th Party and al-Qa'idah in Iraq. People were looking to the NIA, to 'Abd al-'Aziz al-Hakim, as a viable alternative. With the departure of al-Hakim, the ability of the NIA to challenge al-Maliki in January is in doubt. Al-Maliki was successful in making political gains in the recent municipal elections. He hopes to translate that victory into maintaining his prime minister-ship come January, but municipal elections are not as contested as the parliamentary elections. Al-Hakim, despite his closeness with Iran - al-Maliki is as well - was probably the best choice to be Iraq's new prime minister. He was popular among the Shi'a, supported by the Kurds and liked by the Americans for his moderate ideas. He did worry the Sunnis, from which the remnants of al-Qa'idah in Iraq and the Ba'th Party come. Given the passing of 'Abd al-'Aziz al-Hakim, we should prepare for having to put up with Nuri al-Maliki for another term. In yet another move that will be less than well received in the West, Iranian President Mahmoud Ahmadinejad named a controversial nominee as his new defense minister. The recently re-elected president named former special operations chief General Ahmad Vahidi to the position. Vahidi is the subject of a 2007 Interpol detention order at the request of Argentina for his alleged complicity in the 1994 bombing of a Jewish cultural center in Buenos Aires. He is in stellar company - the order also includes former director of intelligence Ali Fallahian; former cultural attache at the Iranian Embassy in Buenos Aires Mohsen Rabbani; and former diplomat Ahmad Reza Asghari. 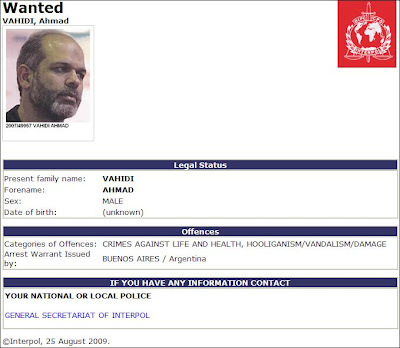 Interpol also named Lebanese Hizballah operations chief 'Imad Mughniyah as allegedly involved in the incident, however, he was killed in a car bombing in Damascus, Syria, in February 2008. I have absolutely no remorse over the killing of Mughniyah - he was responsible for the death of hundreds of Americans going back to the 1980's. Vahidi was the commander of the Quds Force, the overseas special operations wing of the Islamic Revolutionary Guard Corps (IRGC). He directly oversaw lethal operations in Lebanon, the Balkans and Chechnya, among others. He was in command of the Quds Force on July 18, 1994 when a truck bomb destroyed the five-story building which housed the Argentine-Israeli Mutual Association - 85 people were killed in the blast and building collapse. The actual perpetrators are believed to be Hizballah operatives operating at the behest of the Quds Force. The Quds Force is by almost everyone's definition, a terrorist organization. 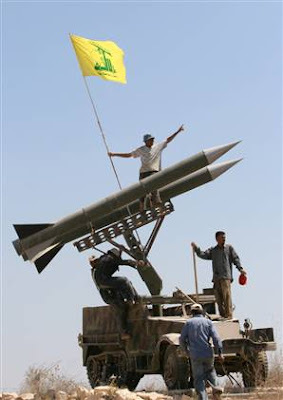 The forerunner of the Quds, the IRGC Syria and Lebanon contingent (IRGC-SL), was responsible for the creation of Lebanese Hizballah in 1982 - Ahmad Vahidi was part of that effort. It is possible that he was indirectly involved in the bombing of the Marine barracks in 1983 in which 229 American military personnel (220 of them U.S. Marines) were killed. The United States, which has sought to reach out to Iran under President Barack Obama, has said Vahidi's presence in the Cabinet would be "disturbing." Disturbing? This ought to be the final straw in President Obama's efforts to engage the Iranian regime. The President has given the Iranian government ample opportunities to accept an improvement in relations between Washington and Tehran. At every turn, they have refused to do so. This appointment is just another indication that the Iranians have no interest in improved relations with the West in general or the United States in particular. Look at the words of the chairman of Iran's parliamentary committee, Alaeddin Boroujerdi, "The allegations will not have any negative impact on the assessment, rather, it may increase his vote in the Majlis (parliament)". These are the people Mr. Obama wants to deal with? It is time to face reality that the Iranians are not interested in serious dialogue with us. They are intent on antagonizing the West, intent on developing nuclear weapons, intent on emerging as the principal power broker in the region. Mr. President, they do not want to talk to you. You are big on being "clear" - how clear do they have to make it? It is time for this administration to consider supporting (or effecting) regime change in Tehran. As I have said before, that's change I can believe in. 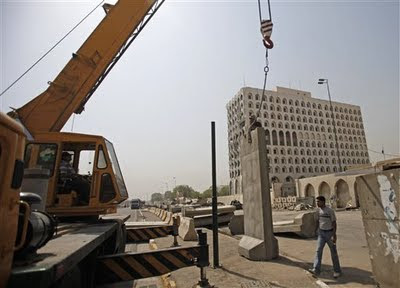 Following several weeks of increased violence around Iraq, the government has begun re-installing concrete barriers that had recently been removed. The order is recognition that there is still a viable insurgency in the country, despite a reduction in the level of violence over the last year. The increase in attacks coincides with the withdrawal of American forces to bases outside metropolitan areas and turnover of security to Iraqi police and military units. After attacks on government targets, specifically the Ministry of Foreign Affairs and the Ministry of Finance are a direct challenge to the administration of Prime Minister Nuri al-Maliki. These attacks symbolize how ineffective the Iraqi security forces are without American assistance. In accordance with the Status of Forces Agreement between Baghdad and Washington, U.S. troops have turned over almost all security in the country to the Iraqis. Al-Maliki's reversal of the policy of removing the barriers is an admission of a defeat for his security plan. Foreign Minister Hoshyar Zebari (a personal friend of mine) summed it up, "We have to face the truth. There has been an obvious deterioration in the security situation in the past two months." Al-Maliki was more political, saying, "I would like to assure the Iraqi people that the security forces are still capable of continuing the battle and achieving more victories despite all the loopholes that took place here and there." More victories? There has been a lot of finger pointing among the various security, police, intelligence and military units in the wake of the two major attacks this week. Eleven senior Iraqi security officials have been detained for questioning. In a possibly related incident, Muhammad al-Shahwani (also a personal friend of mine), Director of the Iraqi Intelligence Service was fired; he has relocated to his previous exile location - Amman, Jordan. A few words about al-Shahwani. He warned that there might be an attack on the sixth anniversary of the August 19, 2003 attack on the United Nations office in Baghdad. To consider this suspect is strange - analysis and warning are what intelligence services are supposed to do. I know al-Shahwani - he is a Turkman and former general in the Iraqi Special Forces. I was one of his CIA contact officers in Jordan during the aborted 1996 coup attempt against Saddam Husayn - I was with him and his wife when we learned that his sons had been caught and about to be executed. The man is an Iraqi patriot - to think al-Shahwani is working with the remnants of either al-Qa'idah in Iraq (AQI) or the Ba'th Party is absolutely ludicrous. As for the increased violence in Iraq. This comes as no surprise - many analysts (including me) predicted it. 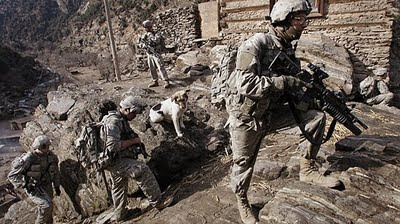 The insurgents - be they AQI, Ba'th Party, or Shi'a militias - knew that American forces were scheduled to withdraw to their bases on June 30. This is the danger of publicized "date certain" events. Telling the enemy that you will be withdrawing your forces on such-and-such date allows them to wait until you are gone, then attack. Had al-Maliki had his country's best interests in mind instead of his own political future, he would have insisted that American troops remain in place until the situation warranted. He wanted the Americans off the street - fine. After months of relative calm prior to June 30, those streets are no longer safe. The image above is a screen capture from the al-Jazeera web site - it was their lead story this morning. The news of 'Abd al-Basit al-Maqrahi's release from a Scottish prison traveled not only around the Western world, but the Arabic-speaking world as well. You can tell from the photo the thoughts of al-Maqrahi's wife 'Ayishah, seen holding the sign. 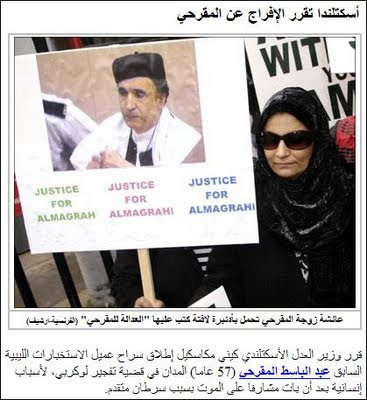 "Scottish Minister of Justice Kenny MacAuskill decided to release former Libyan intelligence agent 'Abd al-Basit al-Maqrahi (age 57), convicted in the Lockerbie explosion case, for humanitarian reasons after learning of his impending death due to advanced cancer." Just a month earlier, there was a critical event in the Persian Gulf. 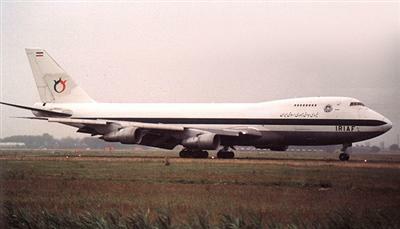 On July 3, an Iran Air passenger jet on a flight from Bandar Abbas to Dubai was mistakenly identified as a fighter aircraft by the USS Vincennes and shot down, killing all 290 passengers and crew. I have met with several Iranian officers since that incident - they all believe the shoot down was intentional and intended to send a message to Tehran that the United States would not permit Iran to prevail in the war with Iraq. The fact that Qadhafi gave up the two intelligence officers is persuasive to me that this was a rogue operation. If Qadhafi authorized the Libyan intelligence service to conduct the operation with the PFLP-GC and then gave up two of its officers, he broke faith with his intelligence service. We intelligence officers routinely broke the laws of other countries, knowing full well that our government would never break faith with us. For that reason, I tend to believe that the two were operating on their own, probably for a large amount of money, and got caught. Qadhafi gave them up and took the blame to make peace with the West. 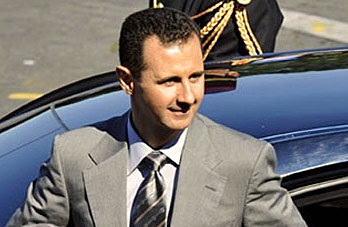 Recent headlines underscore just how well Syrian President Bashar al-Asad has learned the rules of Middle East politics. It makes sense - he had an excellent teacher, his father Hafiz al-Asad. Just as Hafiz repeatedly outfoxed American presidents from 1970 until his death in 2000, including twice embarrassing Bill Clinton on my watch, his son Bashar now appears to have handed President Barack Obama another foreign policy setback in the region. This is a setback that Obama does not need. It comes shortly after his overtures to Iran collapsed following the Iranian regime's reactions to post-election violence in that country. It is even more troubling since the Obama administration had planned to restart the moribund Middle East peace process through better relations with Syria. The Obama administration hoped to be able to break the existing strong bonds, including a mutual defense treaty, between Syria and Iran. Yes, the same Iran the rebuffed Obama's overtures. Driving a wedge between Iran and Syria is a good idea in theory, but extremely difficult. It was revealed this weekend that less than three months ago, what I call the "real axis of evil" - Syrian, Iran and North Korea - tested another jointly produced new missile in Syria. This test, which failed, was conducted at the same time Bashar was courting American visitors to Damascus. 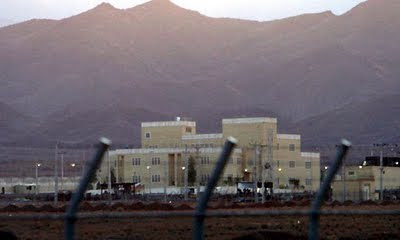 Those visits culminated in President Obama's decision to return an ambassador to the American Embassy in Damascus. That may not happen now. The U.S. ambassador's post has been vacant since Syria was accused of complicity in the 2005 assassination of former Lebanese Prime Minister Rafiq al-Hariri in Beirut. I am of the the belief that the Syrians are not merely "complicit," I think they are just plain guilty. At that time, prior to the Lebanese "Cedar Revolution" that peacefully ended Syria's 30-year occupation of the country, these things did not happen without Syrian involvement, direction or approval. The list of American visitors to Damascus hoping to sway Asad's thinking is impressive. George Mitchell, the U.S. envoy for Middle East peace, visited Syria several times. Also visiting were Assistant Secretary of State for Diplomatic Security Eric Boswell, Acting Assistant Secretary of State for Near Eastern Affairs Jeffrey Feltman, National Security Council official Daniel Shapiro, Mitchell assistant Fred Hoff (rumored to be on the short list as the new ambassador) and the U.S. Central Command Director of Plans, Strategy and Policy Major General Mike Moeller. Of these people, only Feltman and Hoff have the wherewithal and experience to effectively engage Bashar al-Asad in this high-stakes game. Moeller's heavy-handed demand to Asad (stop allowing Iran to resupply Hizballah and Hamas via Syrian territory) was an exercise in naivete. Given what we know now, it would appear that Asad was merely stringing the Americans along with no intention of making any serious changes in his relationship with Iran. On the same day that Hoff and Moeller met with Asad, the Syrian president announced that he was departing shortly for Tehran to congratulate Iranian President Mahmoud Ahmadinejad on his re-election and to strengthen ties between the two countries. This should not have come as a surprise to the Obama administration. A key player in any progress in the peace process is Israel. Israeli Prime Minister Binyamin Netanyahu has made it quite clear that he has no intention of returning the Israeli-occupied Golan Heights to Syria, territory it has held since 1967. With no guarantee of regaining the Golan, no Syrian leader can or will move on the peace process. It is the proverbial show stopper. Netanyahu knows this - so should Obama. Perhaps we should be trying to get the Israelis on board before pressuring Damascus into a deal it cannot accept. Just when you think they have pushed the West as far as possible, the Iranians can still manage a surprise. Their latest tactic is a proposal for an international ban on attacks on nuclear facilities. They intend to introduce such a proposal at the September meeting of the 150 nations that belong to the International Atomic Energy Agency. So let me understand this. Iran fails to comply with virtually all international demands that it stop enriching uranium and allow complete inspections of its suspected nuclear facilities. Then they ask these same international organizations to agree to a ban on any action that might be taken against them. I think the Israelis have a word for that - chutzpah. The conventional wisdom would indicate that the Iranians are concerned about a possible Israeli strike against its facilities. Israeli Prime Minister Binyamin Netanyhau has been very clear that the Jewish state will not permit Iran to develop nuclear weapons - "I promise that if I am elected, Iran will not acquire nuclear arms, and this implies everything necessary to carry this out." Let's not dismiss this as a hare-brained scheme. There is precedent for such a proposal. In 1990, the IAEA adopted a similar resolution named "Prohibition of All Armed Attacks Against Nuclear Installations Devoted to Peaceful Purposes Whether Under Construction or in Operation." Yes, that is the actual title - guess who drafted that resolution. Right, Soltaniyeh, the same Iranian who is the current delegate to the IAEA. Should the Iranians be concerned, even though Soltaniyeh tells us that no one would dare attack Iran? There is precedent, as we all know. 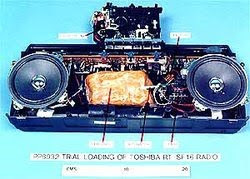 In 1981, Israeli war planes struck Iraq's French-made Osirak nuclear reactor at al-Tuwaythah, south of Baghdad. In 2006, Israeli planes hit a North Korean-made reactor in a remote area of northeast Syria. 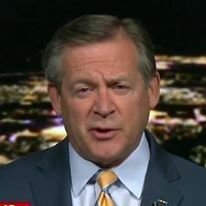 As I have written in the past, it will be extremely difficult for Israel to successfully attack Iran's dispersed, hardened and well-defended nuclear facilities. That does not mean they will not try - senior Israelis regard a nuclear-armed Iran as an existential threat to their country. Iran hopes to divert attention away from the fact that it has defied repeated United Nations demands about its enrichment activities and hopes to focus the world on Israel. 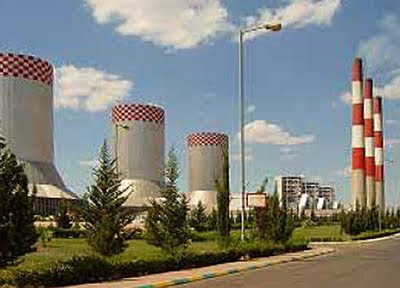 While the anti-attack resolution is debated in Vienna next month, the thousands of centrifuges at Natanz will continue to spin, continue to enrich uranium.